Building 5 at Greenlane Hospital is still empty, neglected and surrounded by a mesh fence 10 years after it was mothballed in 2007. Civic Trust has been regularly contacting the Auckland District Health Board over the years to find out the intentions for the building. Its in a neglected condition, with broken windows, missing panels and roof tiles, allowing water in. 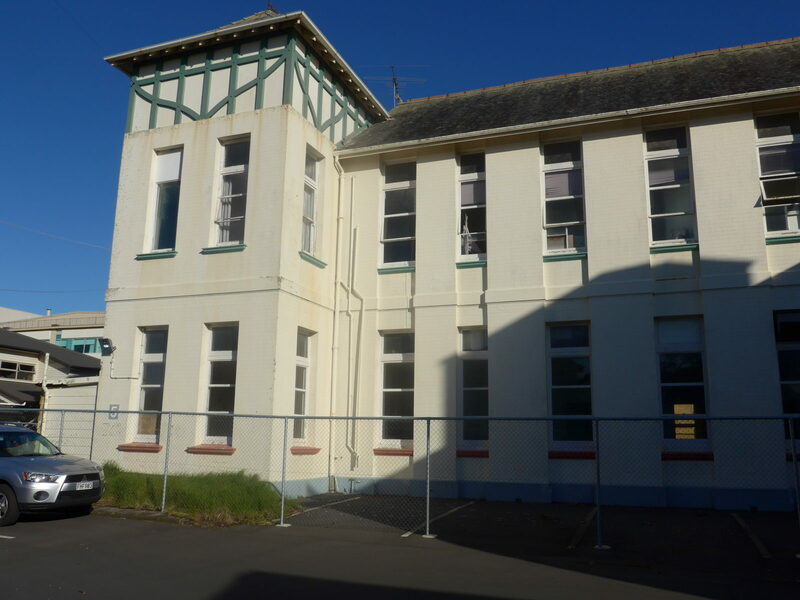 The ADHB has indicated to the Civic Trust that it does intend to reuse Building 5 for services, but it hasn’t provided any timeline or committed to keeping up basic repairs to keep the building watertight. Civic Trust has written to the elected Board of the ADHB to encourage them to formulate effective policy on care of the ADHB’s heritage buildings, to encourage the management team to adequately maintain their heritage building stock. The Greenlane site has a group of buildings categorised as Category 1 by Heritage NZ and Category A and B by Auckland Council. A recent article in the Central Leader (click here to read) has drawn attention to the situation.